Delectable Oolong Tea. Rounded with a buttery softness. Grown in rolling mountains. Handpicked, dried on bamboo and heated for a precious woody elegance. Withered, curled and twisted. Perfectly formed. Rich with bitter cocoa and almondy tonka bean. Earthy with hay. Sweet with tobacco leaf. A cocooning, creamy rare tea infusion. We visited an Oolong tea field and were immediately struck by the scent. Its hay-like facets reminded me of the lavender distillery where I worked as a teenager. We really wanted to accentuate this roasted effect when creating the Oolong Tea fragrance. We infused our tea for 68 hours to obtain its woody dry and spicy personality, typical of a semi-fermented tea. 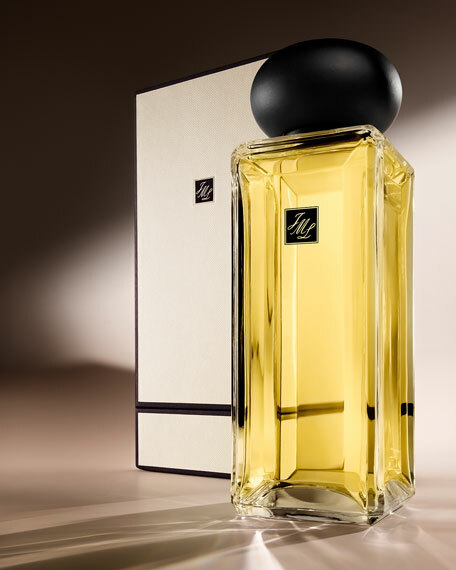 This fragrance is a woody interpretation of tea, with a smoky inflection. We chose to capture the character of the real dry tea leaves by playing with precious woods to create an elegant, textured fragrance. We used powdery cocoa and almondy tonka to magnify its soft and woody facets. And hay and tobacco to bring out its roasted effect. For in-store inquiries, use sku #1811872.